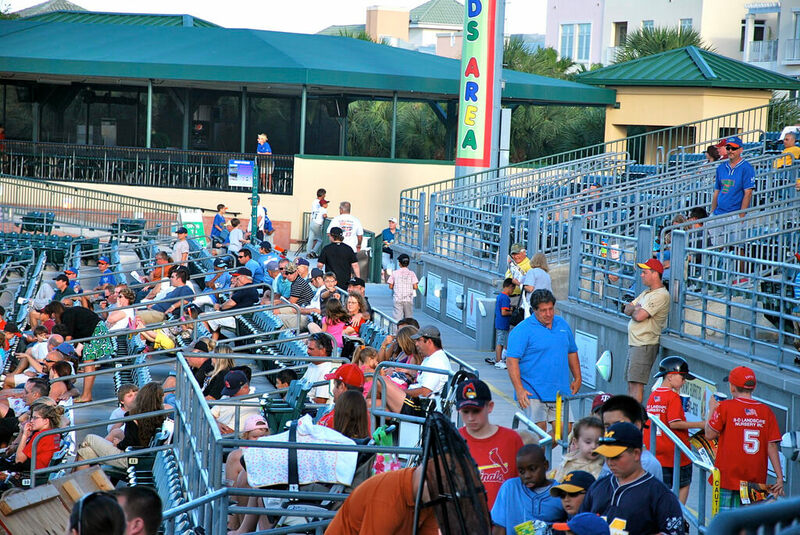 The bullpens at Roger Dean Stadium are a great place to get autographs as the seats at the ballpark are some of the closest to the bullpen you’ll find anywhere. The left field bullpen, in particular, is easily accessible to fans as there is no barrier between the fans and the bullpen bench, making it incredibly easy to get autographs from your favorite Marlins. 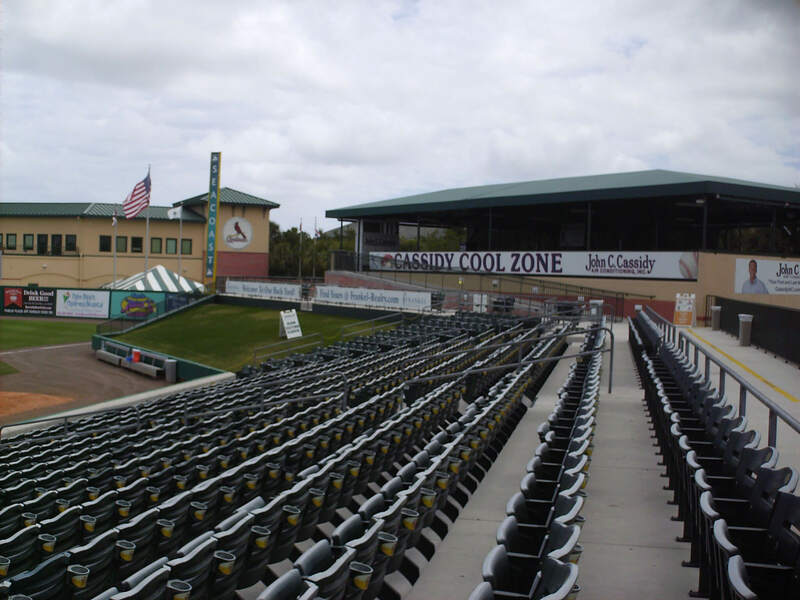 Make sure to check out the Palm Beach County Sports Hall of Fame under the grandstand during your visit to Roger Dean Stadium. The banners hanging from the support pillars honor the best athletes from the county, so take the opportunity to see them all before the game. When bringing the kids to the game, stop by the Kids’ Area along the third base line. The Kids’ Area features a speed pitch, inflatable slide, and more, making it a great place to keep the kids entertained during the game. The Marlins practice on the practice fields behind left-center field, which open to the public at 9:30 am. 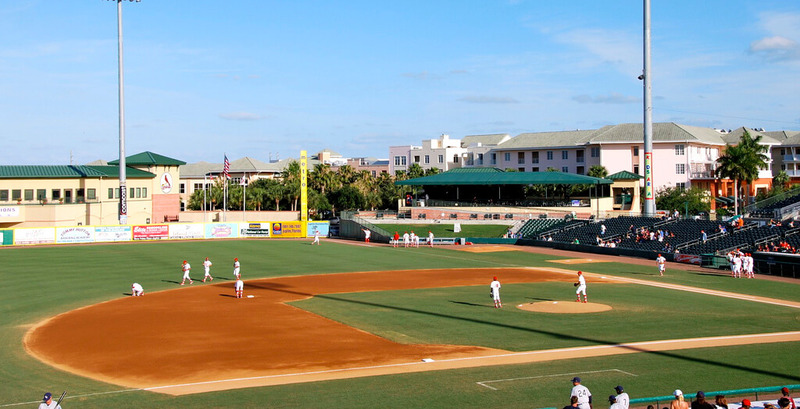 The fan accessible fields feature bleachers making it easy for you to watch your favorite Marlins players and prospects warm up for the season. You can also catch the St. Louis Cardinals practicing in the practice area next door. If you want to pick up a souvenir from Marlins spring training, then stop by the Official Team Store behind home plate. At the Official Team Store you’ll find a wide selection of Marlins and Cardinals merchandise, so no matter what you’re looking for you’ll likely find it here. Those of you looking to enjoy a group outing at Roger Dean Stadium will want to make a reservation at the Bullpen Club. 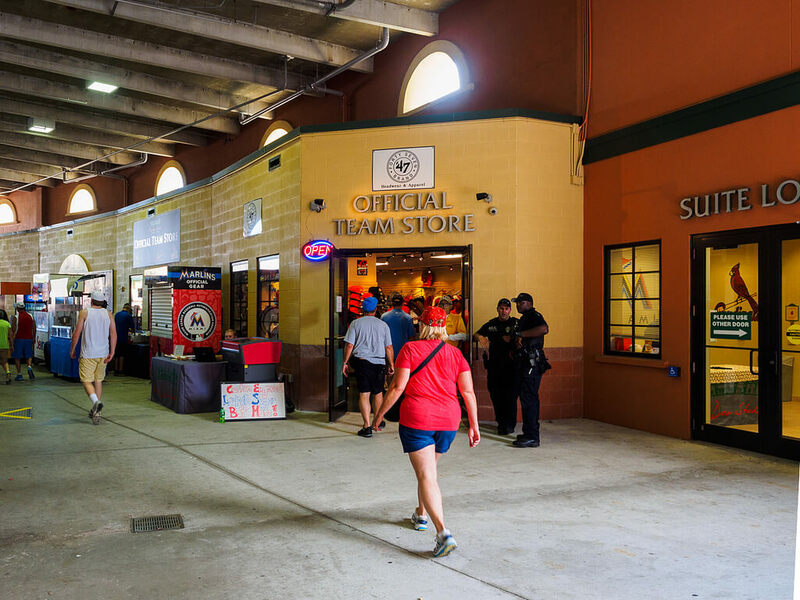 The Bullpen Club accommodates groups of 16 or more and features drink rails, four-top-tables, and an all-you-can-eat buffet of burgers, hot dogs, brats, peanuts, popcorn, desserts, and soft drinks. Enjoy a pregame meal at the Cassidy Cool Zone along the right-field line. You’ll have a fantastic view of the entire ballpark from the Cassidy Cool Zone to accompany your delicious meal. 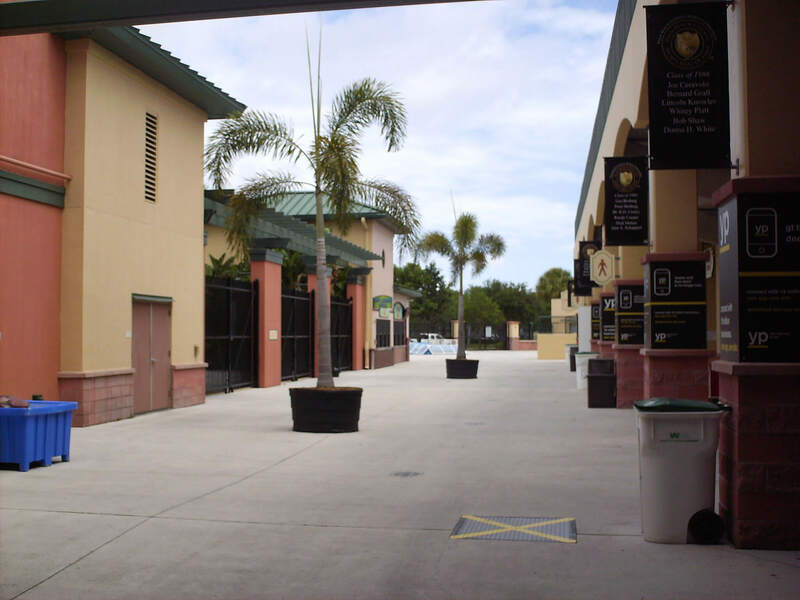 Roger Dean Stadium is home to one of the most beautiful main entrances in the Grapefruit League, so take a minute to enjoy it as you enter the ballpark. Here you’ll find native oak trees and palmetto trees, which create a fun Florida atmosphere that anyone would love. Check out the New York Yankees Spring Training list! Check out the Boston Red Sox Spring Training list! Check out the Houston Astros Spring Training list! Check out the Detroit Tigers Spring Training list!